- A bio-economic model is developed to determine optimal enforcement levels. - Optimal enforcement levels depend on the stakeholders that use the resource. 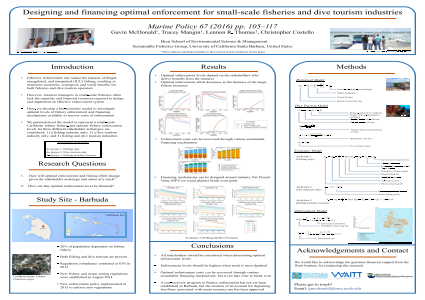 - Optimal enforcement levels decrease as the biomass of the target fishery increases. - Sustainable financing mechanisms for enforcement cost recovery are modeled.